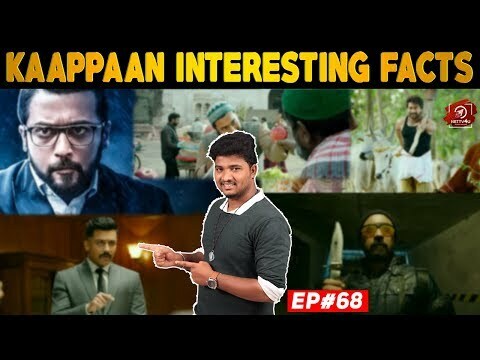 Kaappaan Interesting Facts! Kaappaan is the upcoming film scripted and directed by KV Anand, who directed Ayan, Kho, Maatraan and Kavan. Suriya, Mohanlal, Samuthirakani, Arya, Boman Irani, Sayesha Saigal and Prem are in Kaappaan star cast. Harris Jayaraj is Kaappaan music director. LYCA Productions produces Kaappaan. Kaappaan will release in May. Kaappaan has Suriya as an SPG officer. Mohanlal plays the Prime Minister and Suriya is one among the Special Protection Officers, who provide security to the PM. Watch the video for more interesting updates about Kaappaan! Nettv4u a leading Cinema & Political news provider, find everything that happens around in Tamilnadu.